This is a simple electric motor you can build out of parts you might have around the workshop. can reach fairly high speeds. bearing system for the magnet rotor, so long as it doesn't have alot of friction. Terminal blocks or other connectors to wire it all up. 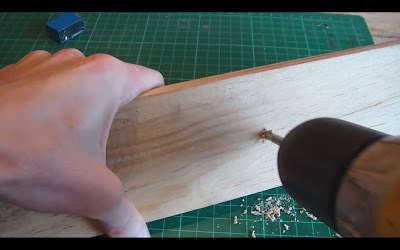 but if the spindle ends up a little wobbly, secure it with some glue. 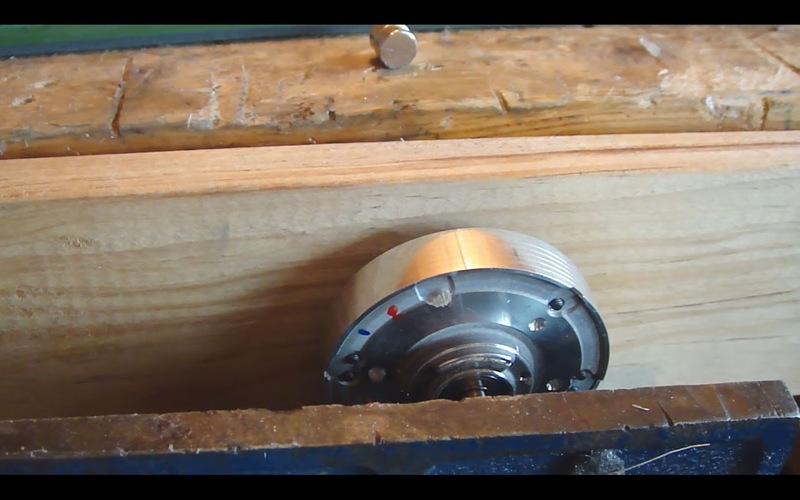 The spindle should be roughly in the middle of the piece of wood. 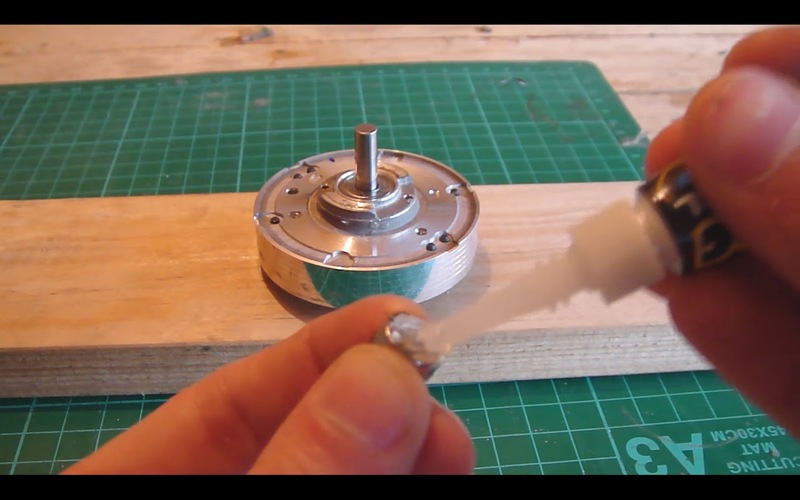 The magnets are glued onto the rotor with some superglue gel. There should be two magnets on opposite sides of the rotor. 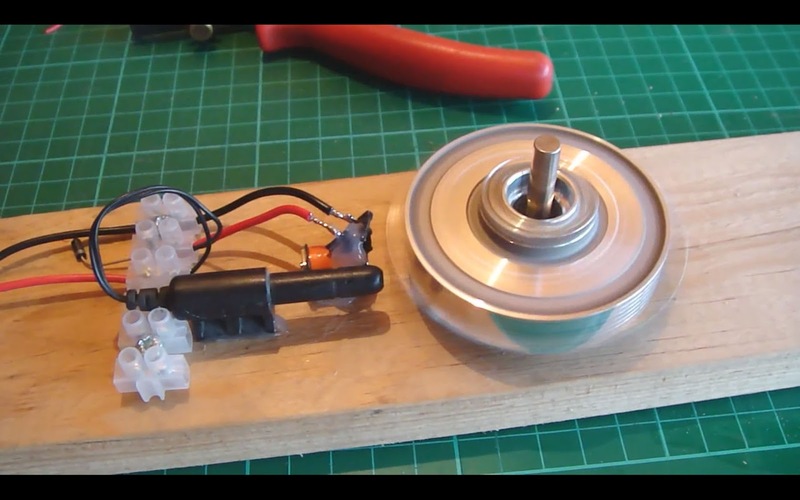 is reversed, the motor will not work. 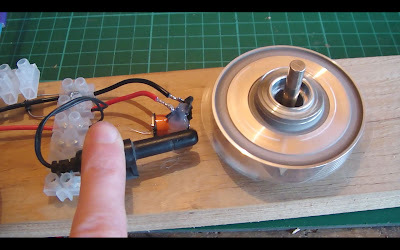 You can wind your own coil for this kind of motor, but that usually involves buying a roll of expensive enamalled wire to wind the coil with. I got my this coil from a 12V relay which I had in my junk box. 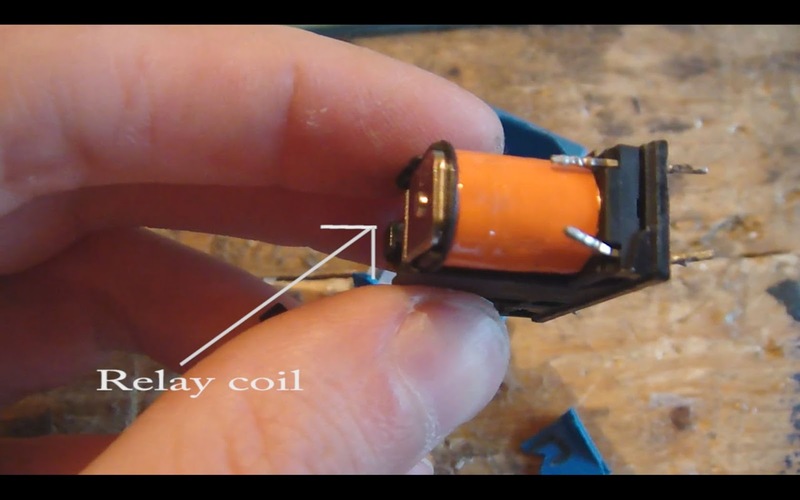 Break open the relay case to get at the coil. 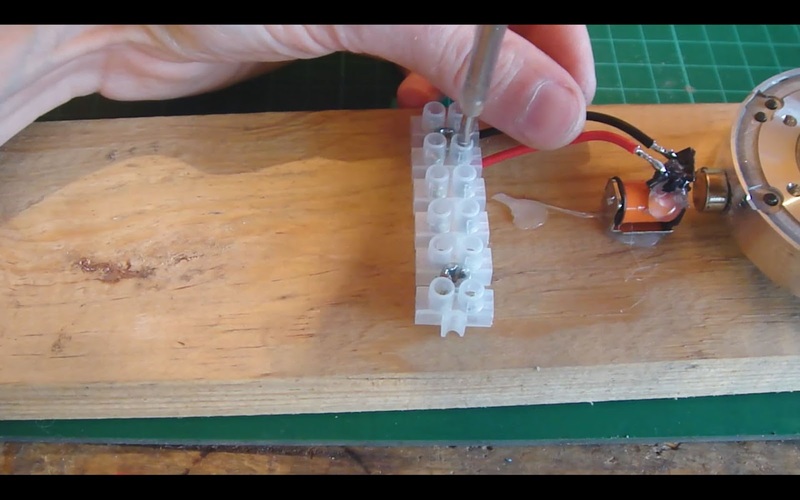 Some relays are really easy to open up whilst others are glued shut and will require some force to get open. When you have the coil removed, glude it down to the piece of wood, so that it's around 3 mm away from the magnets. Solder on two wires to the relay coil so it can be conected to the rest of the circuit. switch burns the contacts, wearing them out quickly. 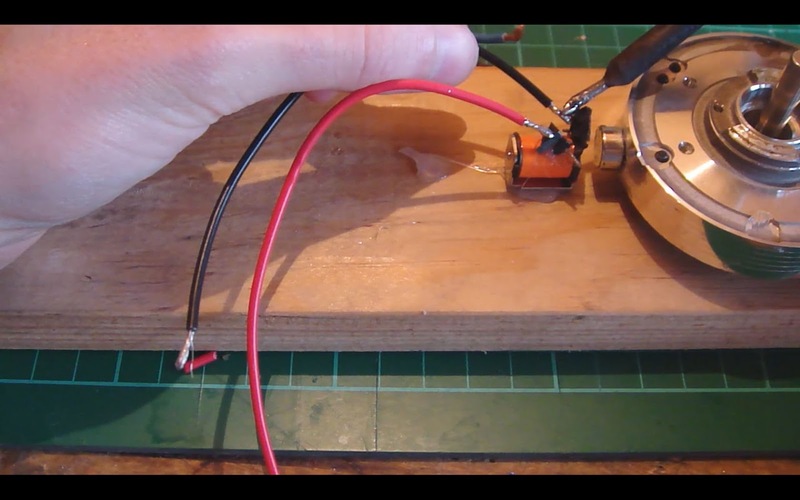 The diode must be fitted the correct way. The side with white stripe goes positive side of the circuit. If you connect the diode the wrong way it will short out the power supply, probably destroying the diode. 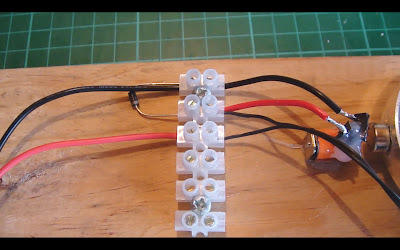 The reed switch is connected in series with the relay coil, so that when the magnet is near the reed switch, it turns on the coil. The magnet is pushed away from the coil, turning the rotor. 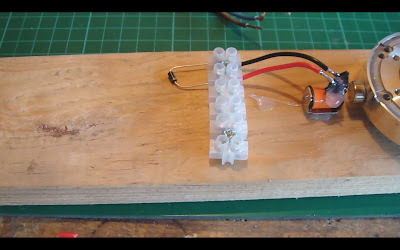 Connect the power supply to the circuit. 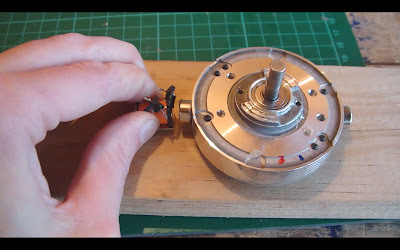 Hold the reed switch near coil and give the vcr spindle a flick to get it going. It should quickly spin up. Try moving the reed switch around to find the best position for the reed switch. Once it's running well, glue the reed switch in place. 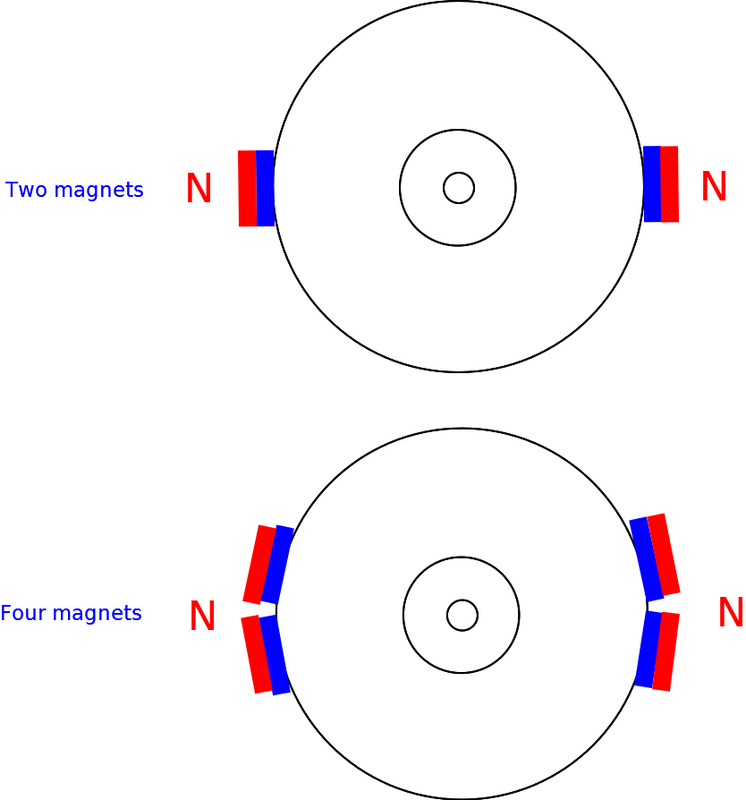 If the motor only turns half way and then gets stuck, one of the magnets is probably facing the wrong way.